Anyone who has participated in golf vacation knows that the lead up to the trip is half the fun. Daydreaming of future birdies and trash talking text messages filled the months of January and February, not to mention the multiple weather related websites that were checked on a daily basis. The anticipation was real. After a full day of flying I arrived in Dallas in enough time to enjoy a brisket taco diner, a fitting Texas welcome. It was early to bed, we had a full schedule of golf ahead of us. Fittingly the golf began on Daylight Savings, a holiday of sorts for golfers. 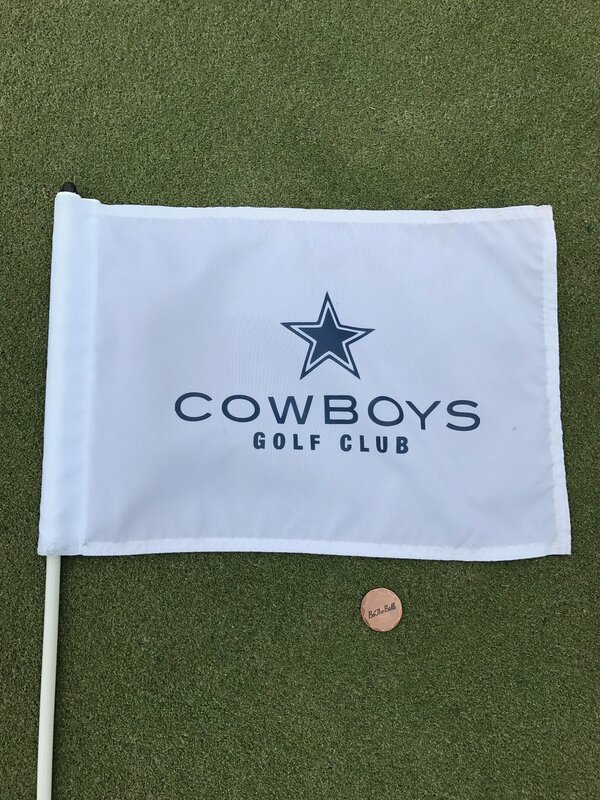 With had a 8:45 tee time at Cowboys Golf Club, a true Dallas experience complete with JerryWorld propaganda and a complimentary breakfast. We headed for the course early enough to hit a few balls. This was the first time I'd hit a golf ball outdoors since early January. This was by far the most themed course I have ever played (and I’ve played in Disney World). Each cart is named after a Cowboy, we had the Drew Pearson special, the original 88! With the temperatures dipping into the low 40s locals were hitting the snooze button. We had the course to ourselves. Things were off to a rocky start but by the third hole I found my swing and started playing golf. Just in time to appreciate the signature 4th hole. An elevated tee shot looked down on a fairway emblazoned with a blue star. We enjoyed the obligatory jalapeño hot dog at the turn and made our way around an enjoyable course. A great start to the trip. 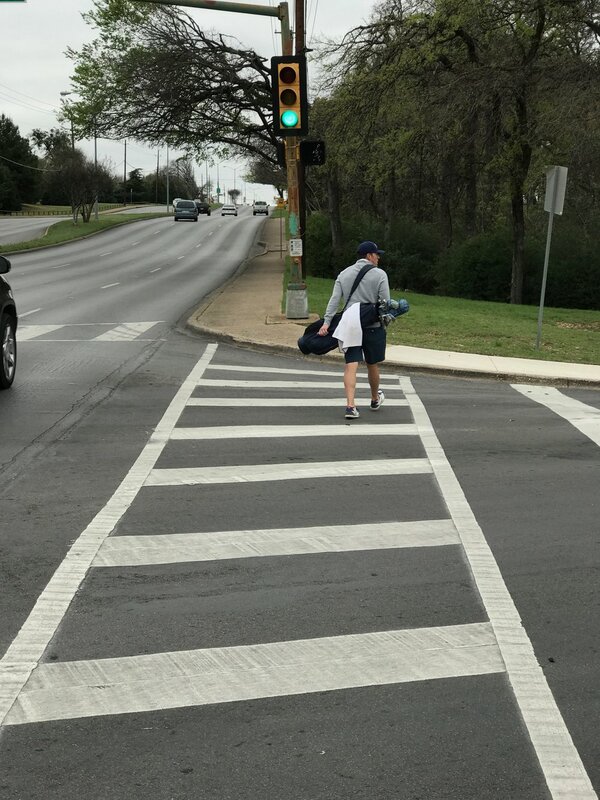 After some down time, that included a stop at Torchy’s tacos, we put on our walking shoes and I switched to my Jones Original (yeah, I traveled with two golf bags!) for a round at Stevens Park, the local municipal course with square greens and great views of downtown. Tipped out at less than 6500 yards Stevens Park is quaint, quirky, and quitensitail muni golf. I loved it. I’d go into greater detail but I think a deeper dive into Stevens Park is going to happen at a later date. We enjoyed a beer on the veranda, which doubles as a cart path, and watched the sun set on day one. The golf was in the books and I felt what I can only assume is the same fatigue that any high performance athlete experiences after a long day of excruciating athleticism. We grabbed some pizza from Coal Vines and enjoyed a few more beer beverages to close out the evening. It was an early morning for day two. 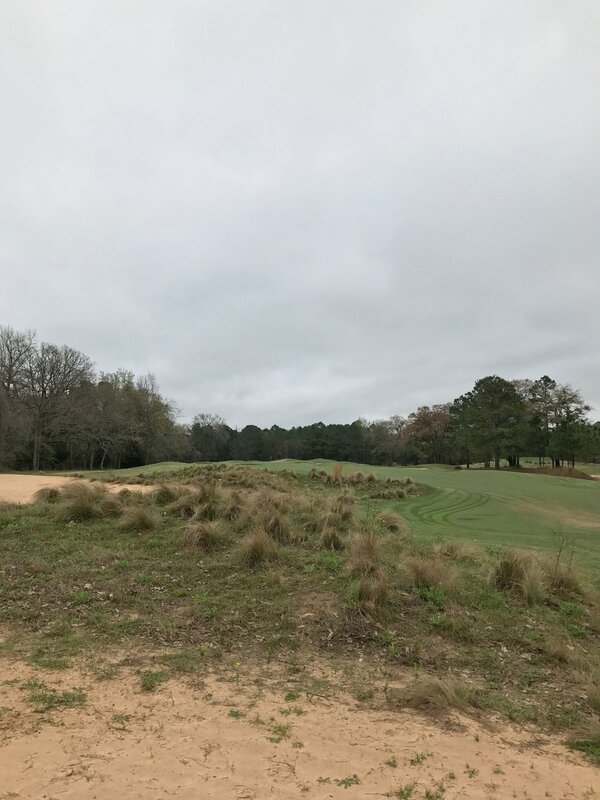 We had a 90 minute drive to our next course, Pine Dunes, the #2 public golf course in the state of Texas situated in the sleepy town of Frankston. We woke up in enough time to toss some coffee in our Yetis and power through Torchy’s breakfast tacos. Pine Dunes is regarded as a hidden gem of the Lone Star State. Nestled in a rural setting amongst the pines far removed from the hustle and bustle of Dallas this course made a great first impression. So good that we made our first itinerary audible before we hit our first shot. Standing on the first tee box Weeks and I knew that 18 wasn’t going to be enough. Texas Star was slated for the afternoon but that course would have to wait until my next trip to Dallas, today was going to be spent in the pines. Pine Dunes doesn’t try to be gimmicky or use smoke and mirrors. The course is pure, understated, and most of all fun. I didn’t play my best that day but you’d have thought I was setting the course record based on my grin and giggles. I was genuinely excited to play every shot. It’s a course that makes you use every club in your bag. For the second round the clouds parted and the beauty of the course shown through. I think a testament to the quality of the course is that playing it a second time produced different challenges and alternate strategies. I can’t recommend Pine Dunes enough. Our day concluded with a Whataburger dinner and a sunset drive back to Dallas. 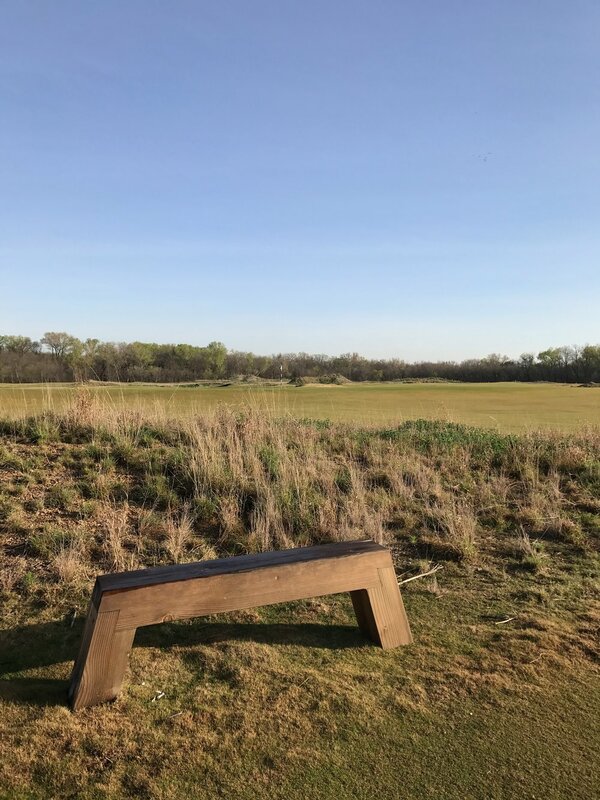 The first tee time of the day was at Trinity Forest. I’ve been a big fan of Coore & Crenshaw's work ever since they designed the Warren Golf Course at my alma mater Notre Dame. Their minimalist design philosophy and penchants for playability resonate with me. Trinity Forest is one of C&C Course Factory’s (this nickname will never catch on despite my best efforts) most recent creations. Again with temperatures in the low 40s we were the only ones willing to tee it up. We were greeted by a staff to golfer ratio of roughly 4:1. While we checked in a chef made us breakfast tacos (a theme of the trip). After a leisurely range session we headed to the first tee. We were greeted by our caddie for the day, Paul McConnell, a Mackenzie Tour player but if the starter hadn’t told us that we may have never known. Paul was humble to a fault, endlessly helpful, and rather optimistic despite the shots he saw us hit, making the experience that much more enjoyable. The course had that familiar C&C feel . The fairways were wide but the proper angle into the green was required to score and the greens were large and undulating making Paul’s expertise that much more valuable. As we walked down the 18th fairway we could see a flurry of movement around the first tee. The group consisted of two forecaddies and four players riding golfboards. Paul remarked that it was 2-time major winner and 6th ranked player in the world Jordan Spieth. Needless to say we finished in a flurry to be able to casual stroll by to watch as Jordan (proximity has us on a first name basis) piped his drive down the middle, mount his golfboard and ride off down the fairway like some futuristic golfing cowboy. It was a really good time. Over lunch, consisting of freshly made kobe beef sliders, Weeks and I made our second audible of the trip. 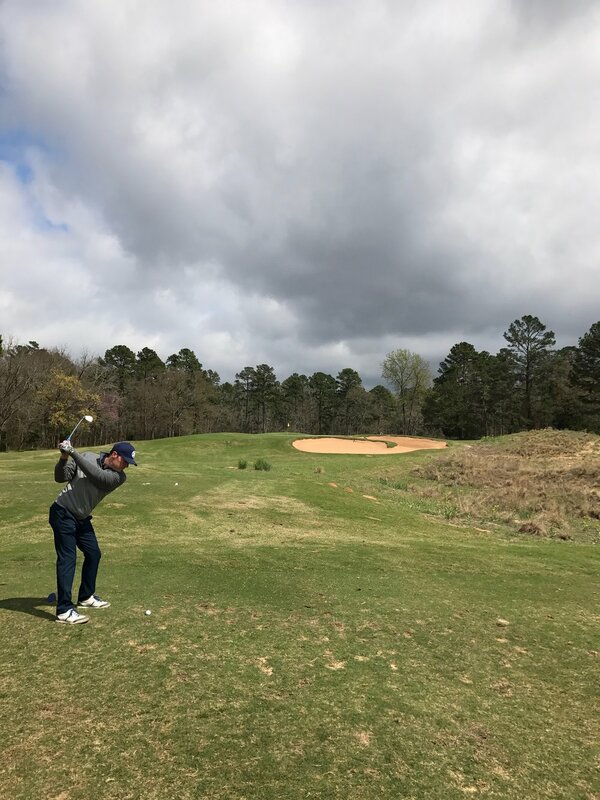 Rather than race across town to play Cottonwood Valley, the private Four Seasons course with a green in the shape of Texas, we opted to slow down a bit and play the par 3 course at Trinity Forest. It wasn’t on par with the likes of Bandon Preserve or even Peter Hay for that matter but it proved to be a great way to spend the afternoon. We picked out our tee boxes and fired at greens with wedges. 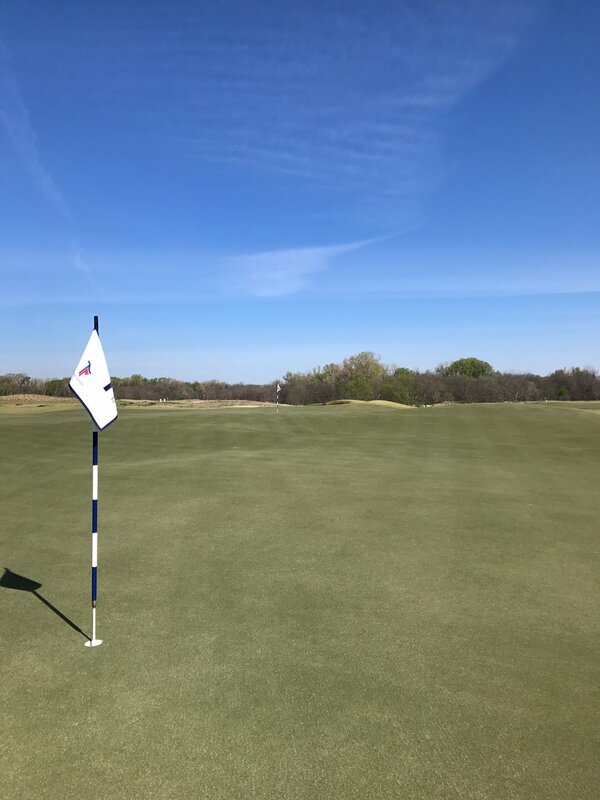 Trinity Forest was everything you’d expect from a private club of its caliber and I look forward to Spieth playing host to the tour when the Byron Nelson makes its way there next season. We had time for one last round and I think their is no better way to say goodbye to Dallas than a trip around Stevens Park. After a texas breakfast at Taco Diner (expect anything different?) we headed for the friendly confines of Stevens Park. The course is tucked into the Kessler Park neighborhood and I’d be lying if I said I didn’t try to find a for sale sign. I enjoyed Trinity Forest immensely, was blown away by Pine Dunes, but something about muni golf sits well with me. 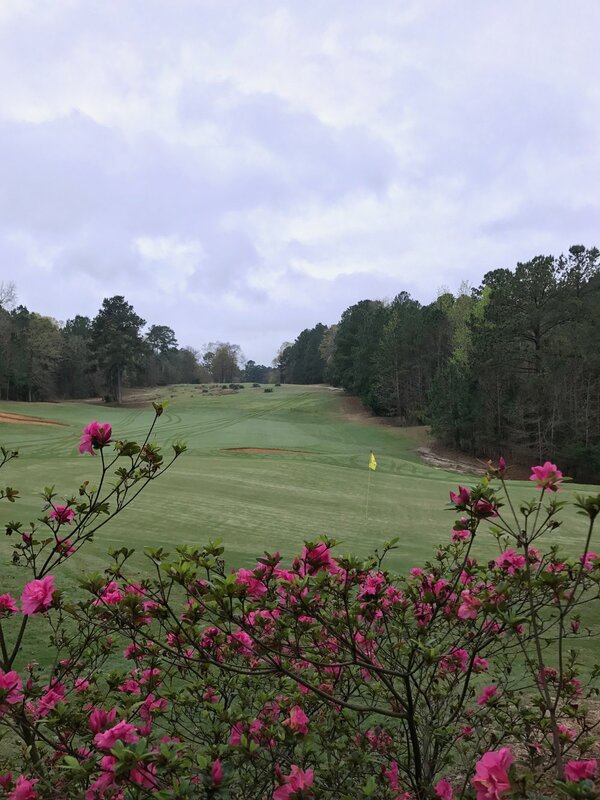 Stevens Park feels like a home away from home, a course you’d play for years and year and always appreciate. I already can’t wait to get back.